St. Michael’s Castle, also called the Mikhailovsky Castle or the Engineers’ Castle, is a former royal residence in the historic centre of Saint Petersburg, Russia. St. Michael’s Castle was built as a residence for Emperor Paul I by architects Vincenzo Brenna and Vasili Bazhenov in 1797-1801. 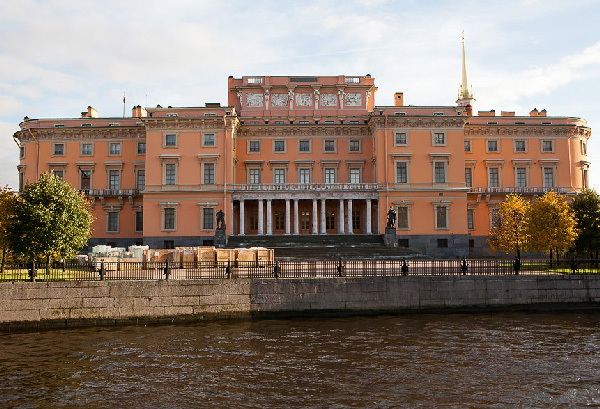 In the early 1990s, St. Michael’s Castle became a branch of the Russian Museum and now houses its Portrait Gallery, featuring official portraits of the Russian Emperors and Empresses and various dignitaries and celebrities from the late 17th to the early 20th century. The castle was built in the years 1797-1801, its first stone was laid on February 26 (March 9) in 1797. 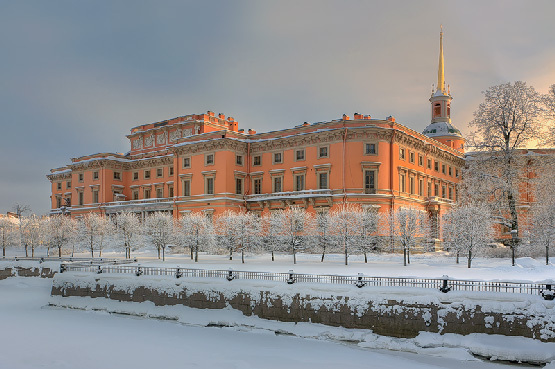 The project of the palace was designed by architect Vasily Bazhenov on behalf of Emperor Paul I, hope. 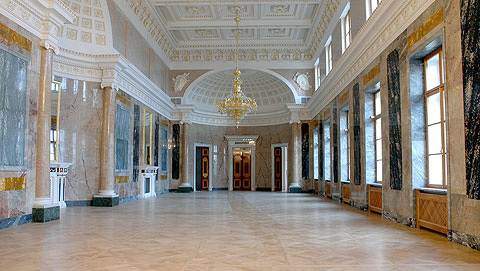 Brenna reworked the initial draft of the palace and created the artistic decoration of its interiors. In addition Bazhenov and Brenna in the creation of the project involved the emperor himself who composed several pictures for him. As the number of assistants Brenna Fedor Svinin and Carlo Rossi. Paul I quickened construction, Vincenzo Brenna received the rank of State Councilor, he was sent to help Charles Cameron and Giacomo Quarenghi. In addition, working with Brenna E. Sokolov, I. and G. Hirsch Pilnikov, and still at the stage of the project attracted Paul A.-F.-G.Viole. 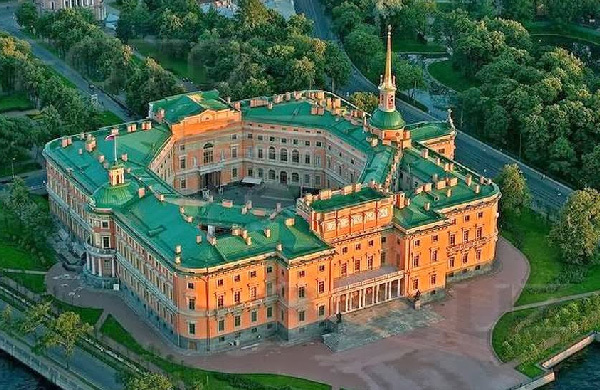 Petersburg Castle Paul I built on the site of the Summer Palace Elizabeth created her favorite architect Rastrelli. This is where in 1754, the future emperor was born. Forty-seven years, he would be killed at the same place, in the new palace. 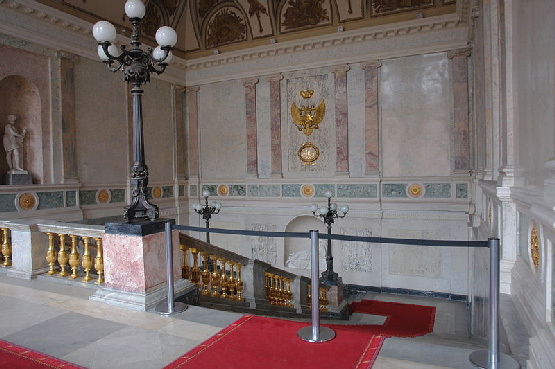 Well known legend says that the ghost of the murdered emperor conspirators could not leave the place of his death. The ghost of the king began to see a platoon of soldiers of the garrison, transporting military equipment, the new inhabitants of the palace – Diluting Corporal school Ljamin , and passers-by noticed the windows shining figure.